For this first post of the new lunar year (Year of the Rooster), here are three colorful photos of some favorite flowers encountered during our visit to Hội An, Việt Nam last November. The last two photos appeared on this blog before. 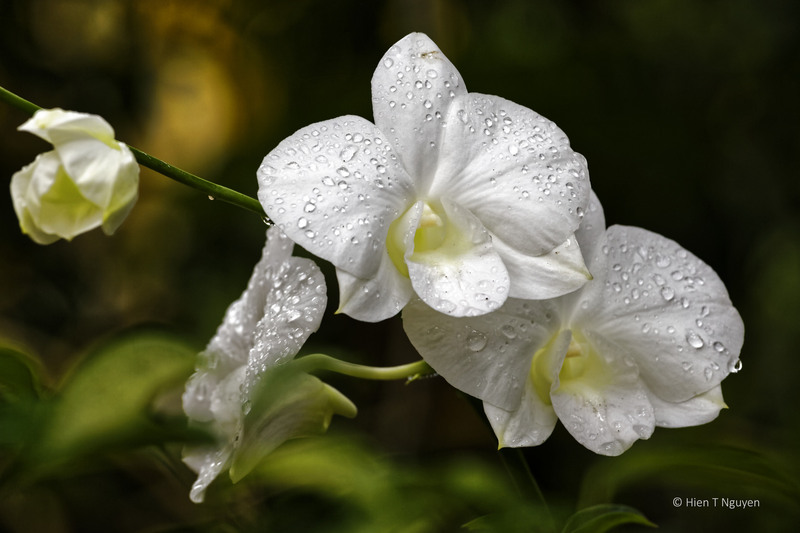 This time, I reprocessed them to enhance the beauty of the flowers even more. Hibiscus along a street in Hội An. White Orchids at a homestay in Hội An. 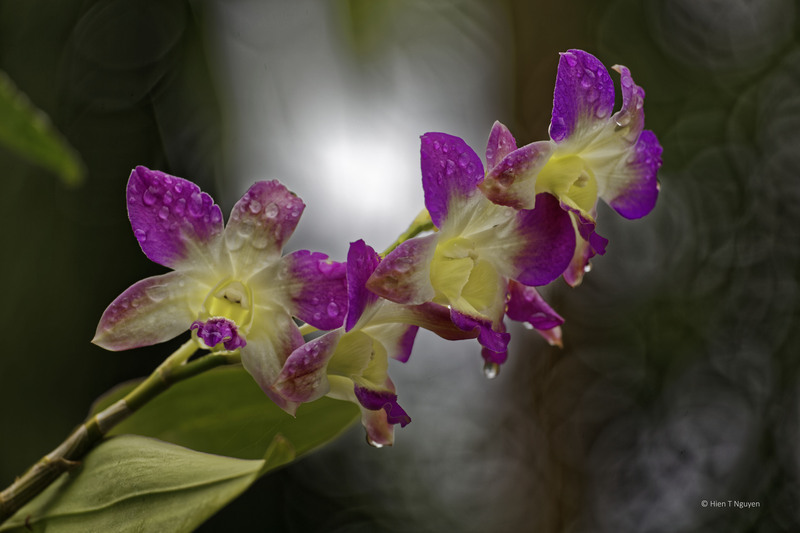 White and purple Orchids at homestay in Hội An. Just what I needed to see on a cold, cloudy, snowy day, thank you very much! Great ones, Hien. 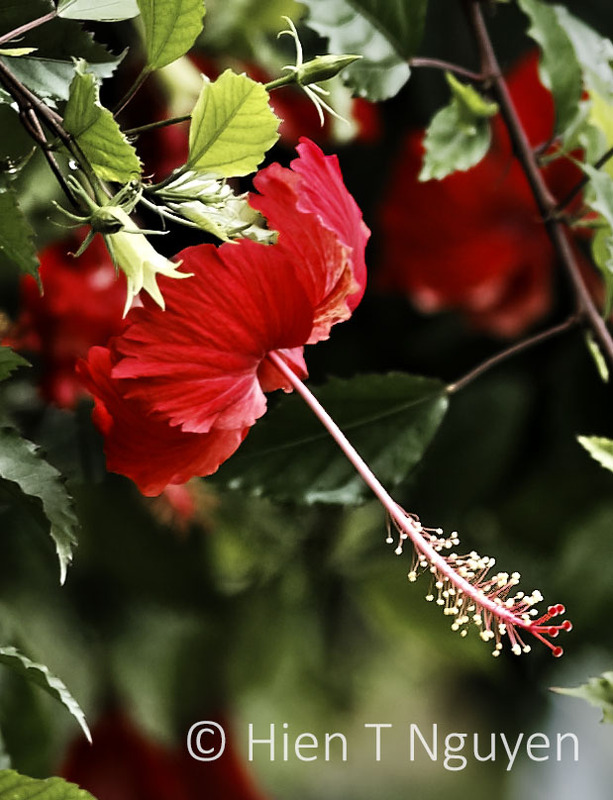 I have seen so many hibiscus in Taiwan, and the one in your photo is the most beautiful one!